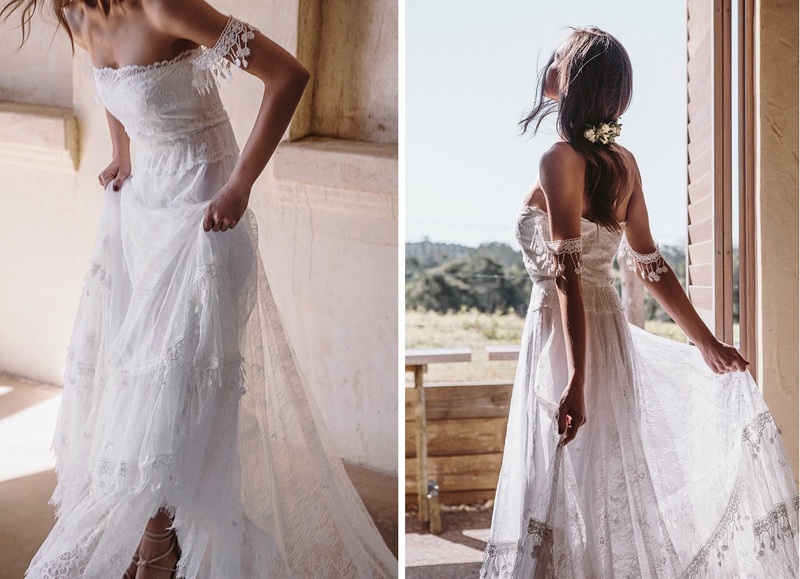 They’re the creators behind the ‘The Most Pinned Wedding Gown’ on Pinterest and will literally blow you away with their free-spirited, bohemian style. 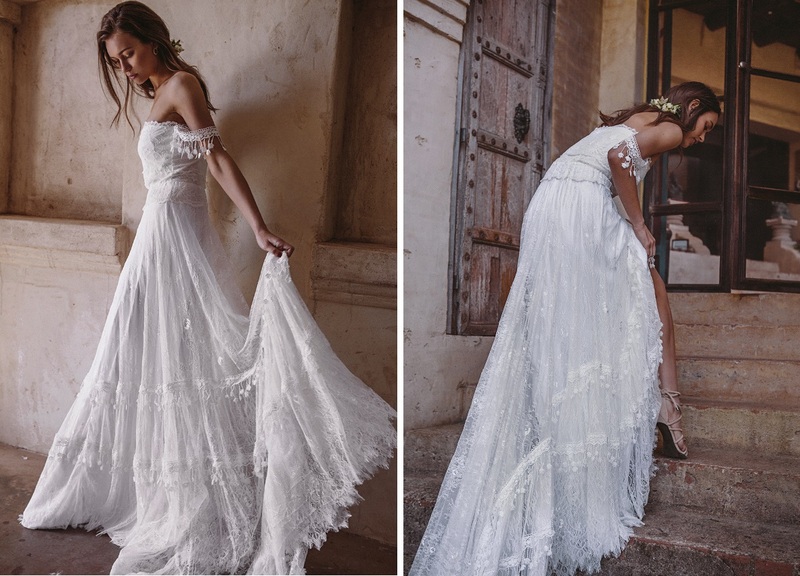 Grace Loves Lace have cranked up their creativity to a whole other level with the launch of their new bridal gown that incorporates design elements based on feedback from real life brides. Enter the Fabienne gown with its glorious floral armbands, to-die-for full circle French Chantilly lace skirt and divine strapless, stretch lace bodice…. 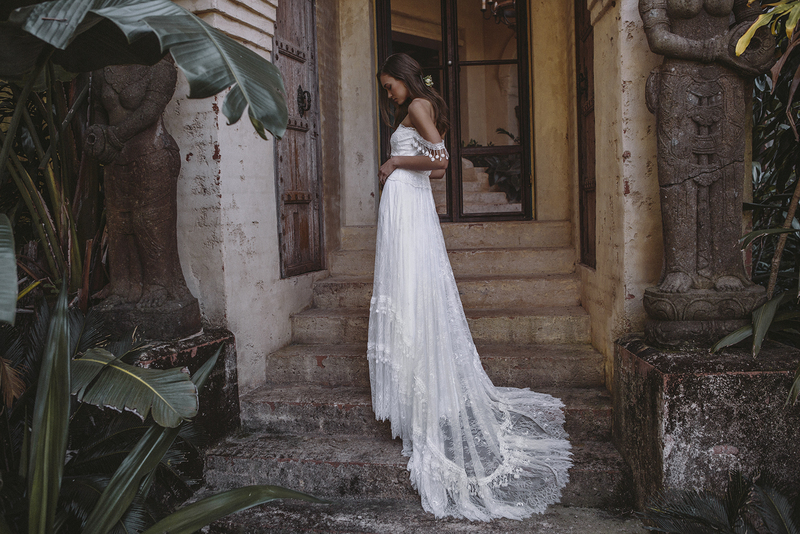 Designed with the opulent bohemian in mind, the gown with bewitch you with its flowing, feminine silhouette, combination of luxe European lace (in two shades of delicate ivory) and out-of-this-world details. Handmade in the brand’s Australian studio (and delivered worldwife – PHEW) the Fabienne dress will be available from September 6th EXCLUSIVELY via the label’s website (click here). For more information on Grace Loves Lace, click here. 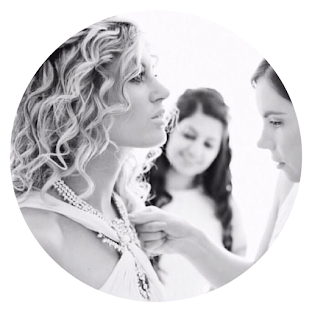 Want to know where you can shop Grace Loves Lace in the UK? Click here.